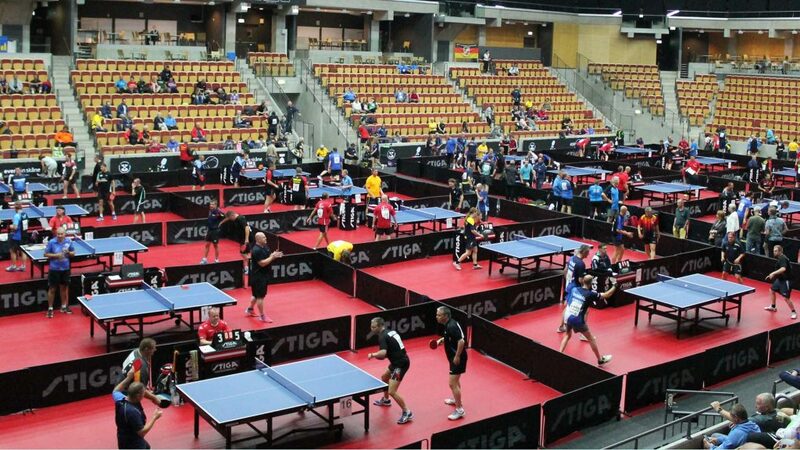 Two days of play completed on the evening of Tuesday 27th June at the 2017 World Veteran Championships in the west coast Swedish city of Helsingborg; several notable names have graced the arena. The name of Slovenia’s Edvard Vecko immediately attracts the attention. He competed in the first ever European Veteran Championships in 1995 in Vienna and, when representing the country once known as Yugoslavia, was a bronze medallist in the 1969 World Championships in Munich. Likewise, the names of Austria’s Ding Yi and Germany’s Wifried Lieck are present alongside Poland’s Leszek Kucharski and Marcin Kusinski. 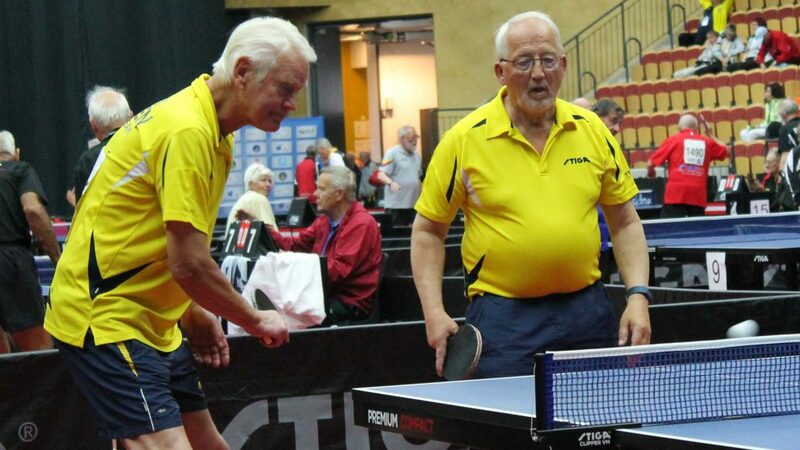 Also in action are Denmark’s Claus Pedersen and Niels Ramberg in addition to Croatia’s Branka Batinic, the winner of the Women’s Singles 40 to 49 years title at the 2006 World Veteran Championship. Meanwhile, from the host nation Jonny Åkesson, Toni Borg, Barbro Wiktorsson and Anna-Carin Ahlquist are competing as is Petra Sörling, who combines the playing with being the President of the Organising Committee. The opening day of play was allocated to singles matches in the various age group categories, the second day for doubles; well that was for those not in the 40 years to 49 years category. It was believed “the baby vets” were young enough to compete in both singles and doubles events. It was time to be young again! In a tournament which has a 50 year age range, they were very much the “juniors”, for those who had just past the milestone date, the reference of “cadets” was even prevalent. Now on Wednesday 28th June, it is a free day, a chance to visit the city or take the ferry to neighbouring Denmark; a journey of less than one hour. A day of rest on Thursday 29th June, it is back to action; play concludes on Saturday 1st July.